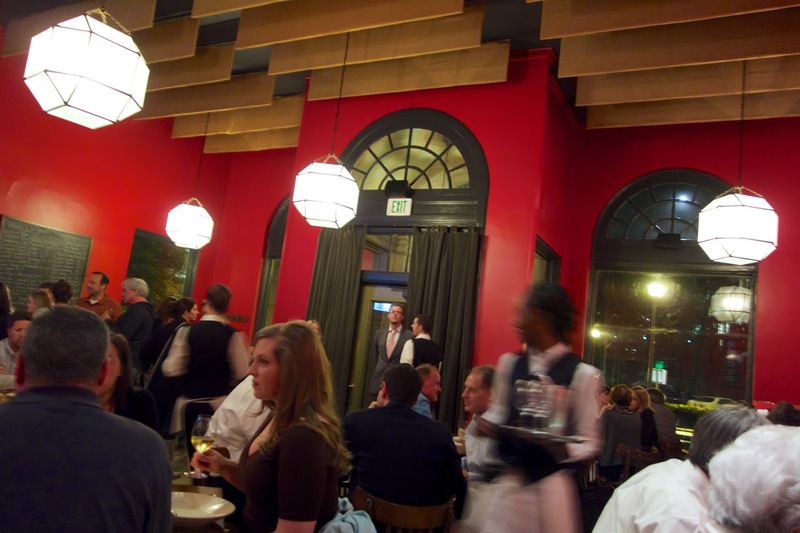 Birmingham is home to several James Beard Award winning restaurants and chefs. 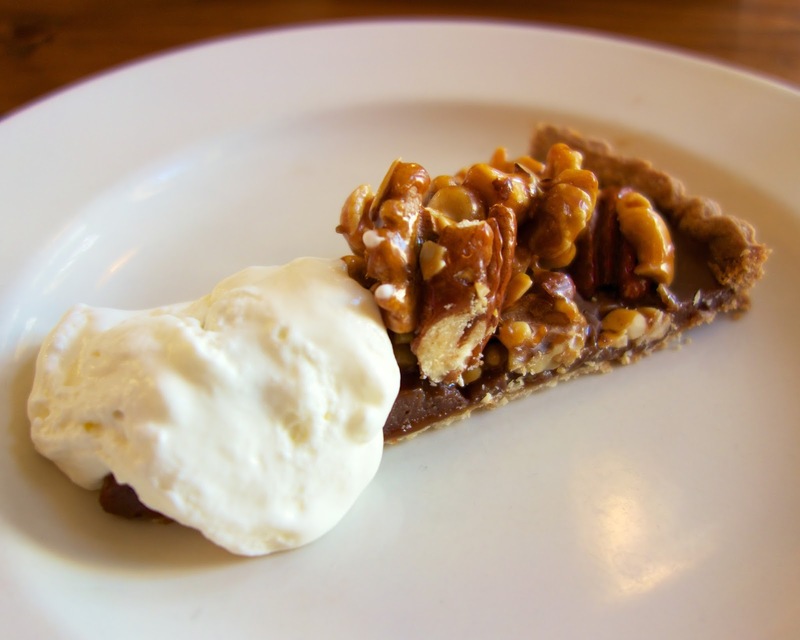 Today I am going to tell you about one of my favorite chefs, Frank Stitt. Frank Stitt is the culinary genius behind several of the top restaurants in town. The most famous is Highlands Bar and Grill. 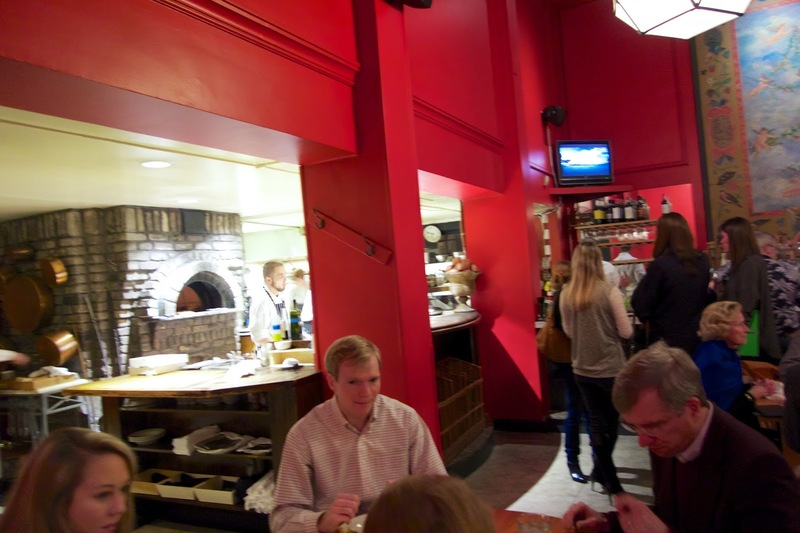 It has been a James Beard Foundation Award finalist for Outstanding Restaurant in 2009, 2010, 2011, 2012 and 2013. He also owns Bottega, an Italian restaurant. In addition to the "fancy" restaurants, he also operates two cafes. 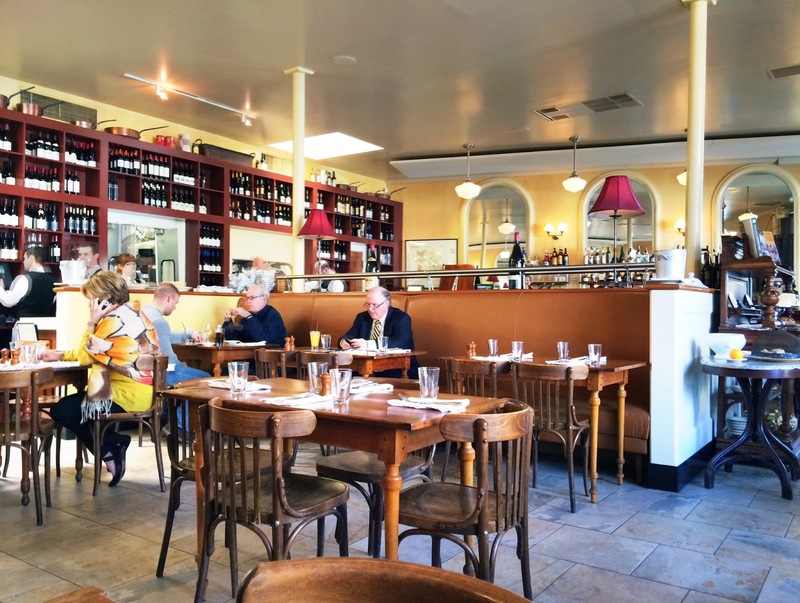 Chez Fonfon and Bottega Cafe. I've been to all of his restaurants, and I prefer the more casual atmosphere and food of the cafes. 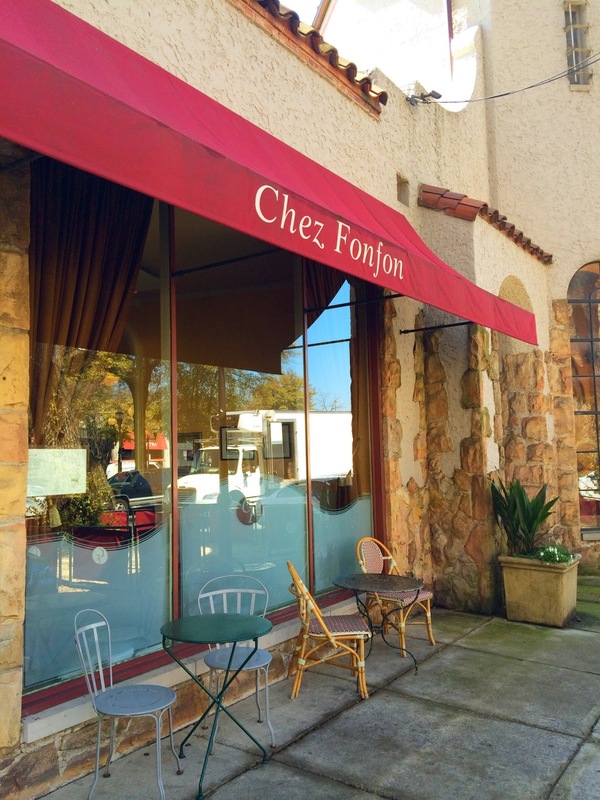 Chez Fonfon is located next door to Highlands Bar and Grill. 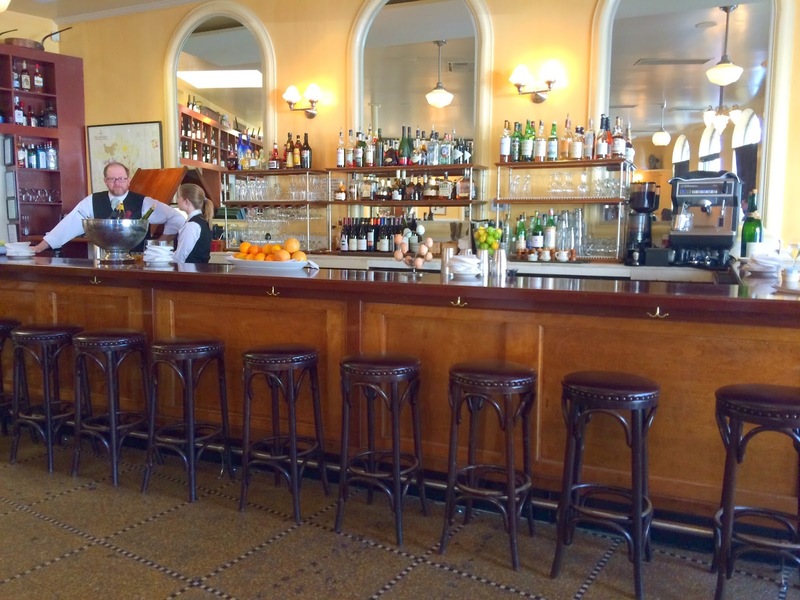 It is a French bistro. 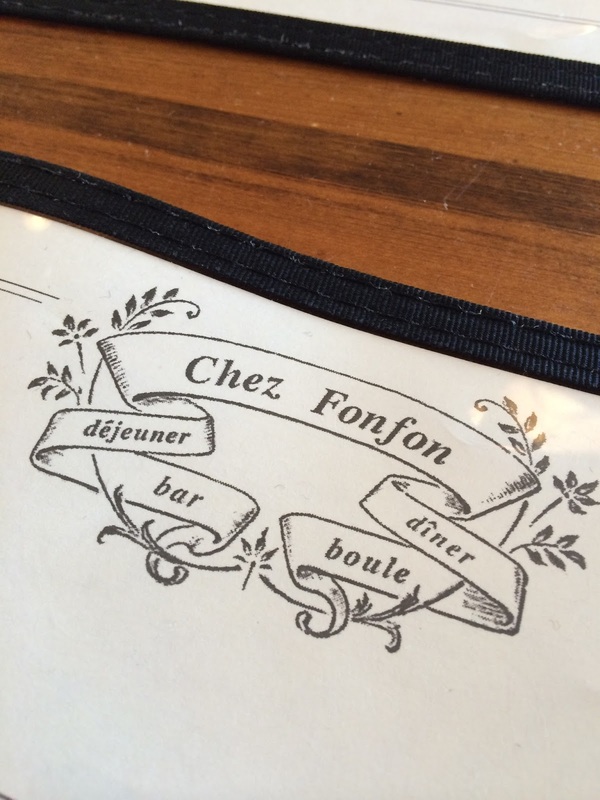 Chez Fonfon doesn't take reservations. We always try and get there early to avoid waiting. I always start with an Orange Thing. Fresh orange juice, orange liquor and vodka. 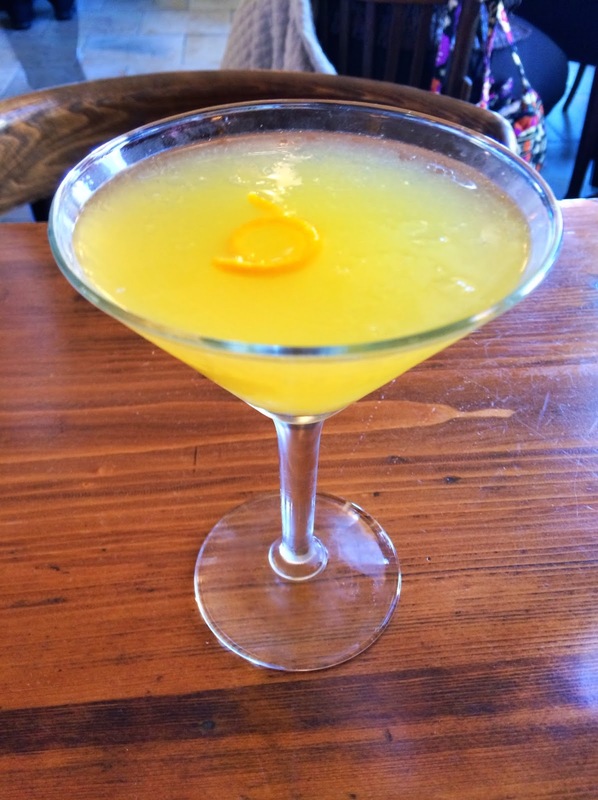 It is the best martini around! 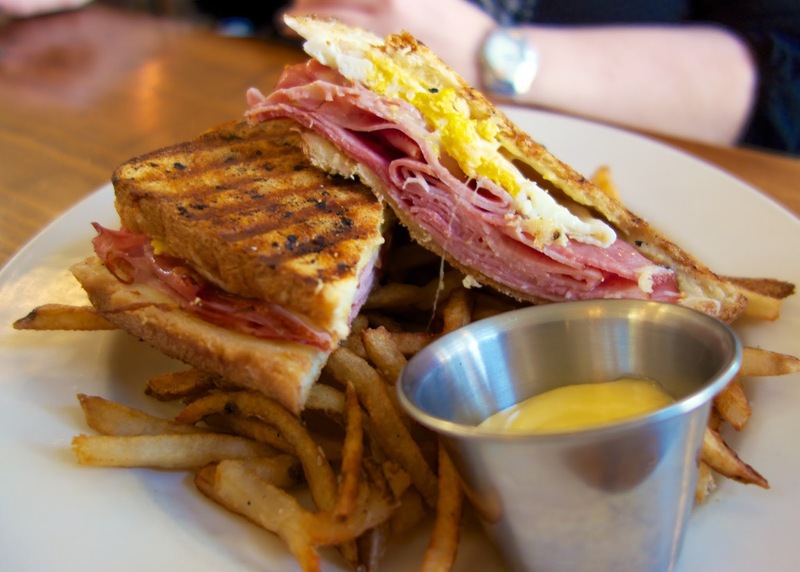 Croque Madame - ham and cheese sandwich with a fried egg. 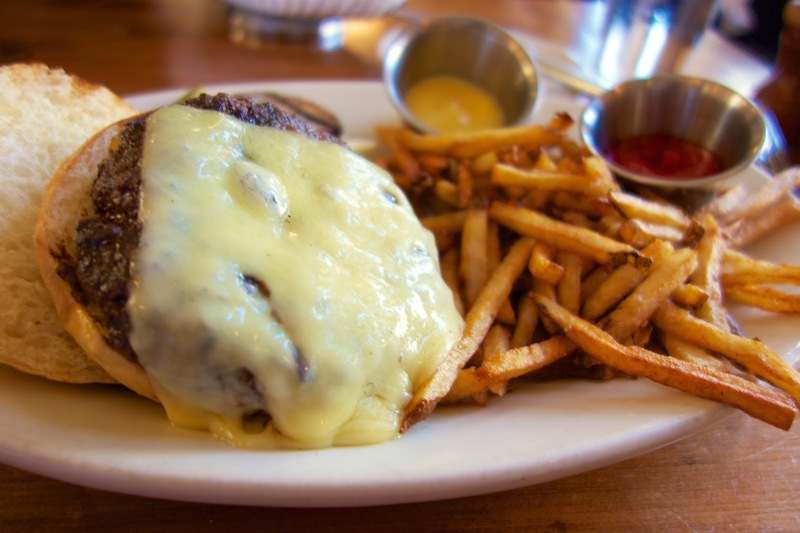 Chez Fonfon is most famous for its burger. 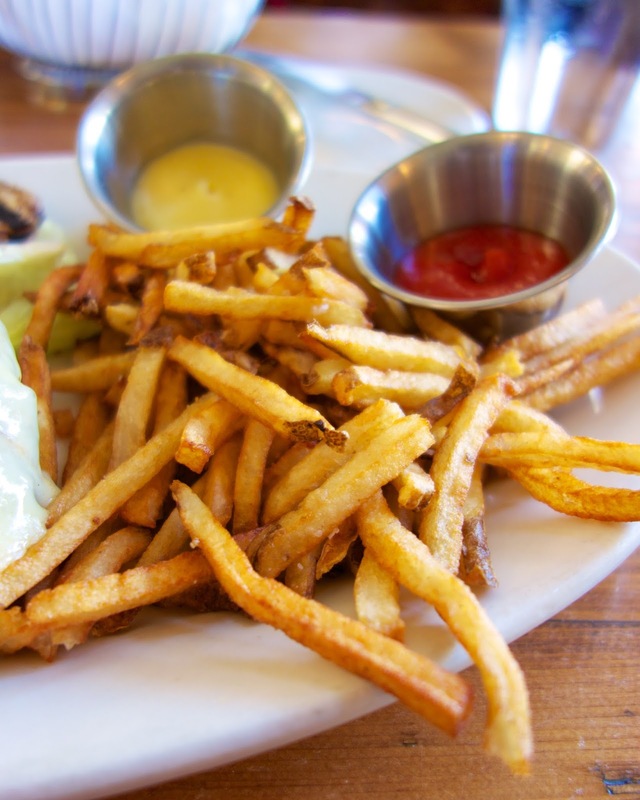 It is consistently voted best burger in Birmingham. Their fries are also some of the best around. 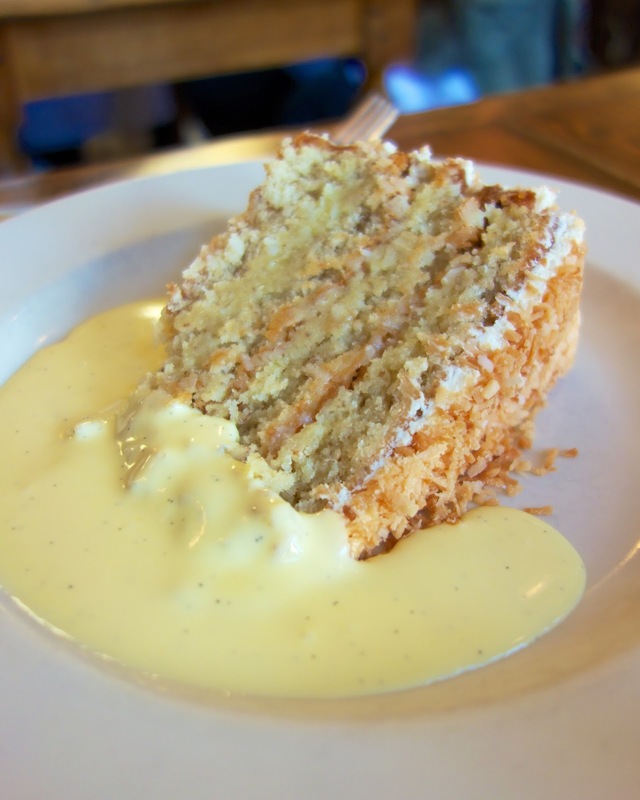 Chez Fonfon's desserts are on the list of "100 dishes to eat in Alabama before you die". Chicken Legs got this for dessert and said it was great! I could just eat this! It was amazing! Must get the recipe ASAP! 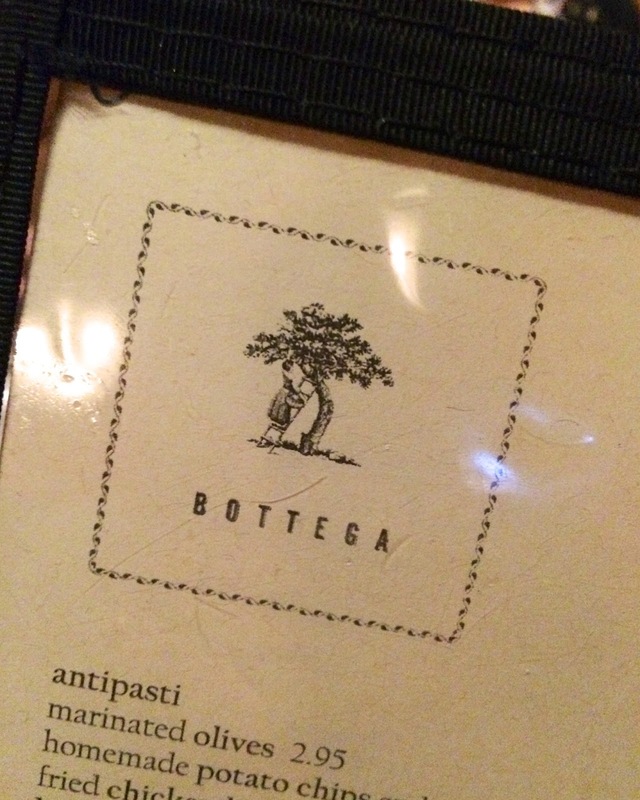 Bottega Cafe is located next door to Bottega Restaurant. Like Chez Fonfon, they don't take reservations. Get here early, it fills up fast! 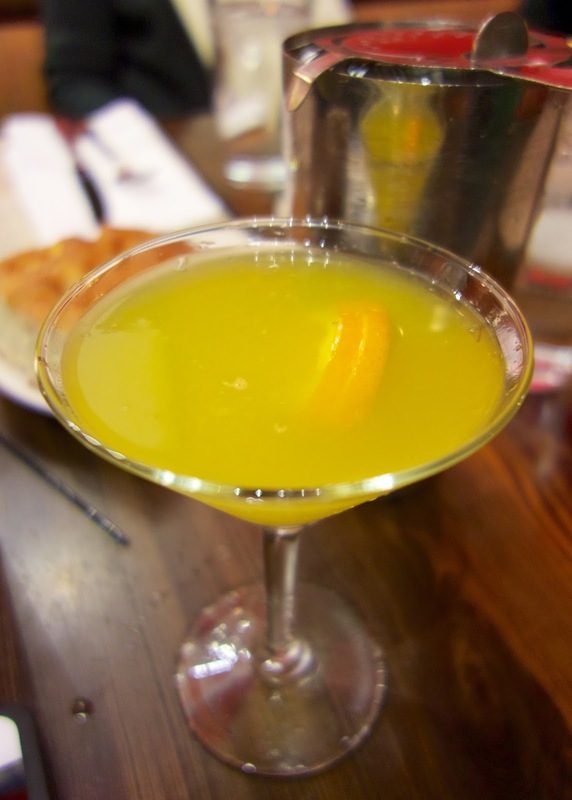 They also make the famous Orange Thing martini. 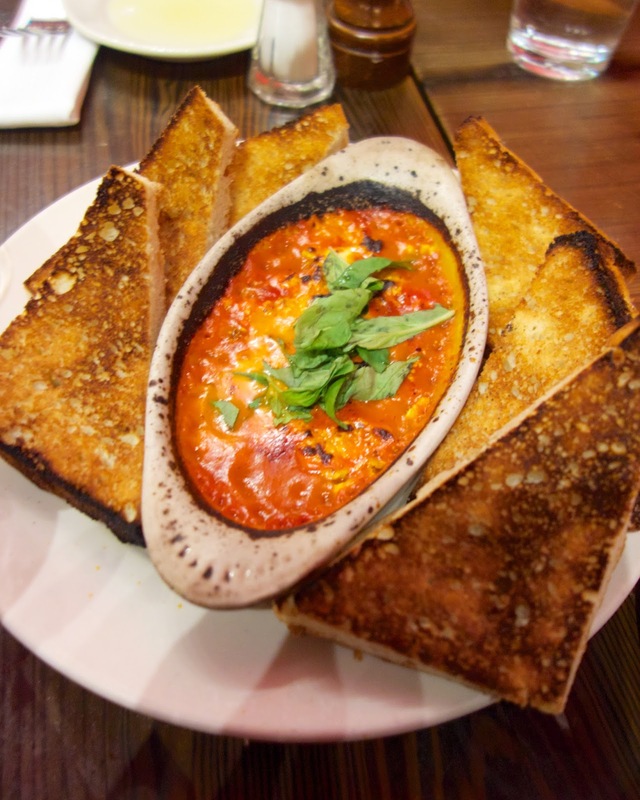 The Baked Feta is a great way to start the meal. It is crazy good! I didn't want to share. I make a version of this at home - you can get the recipe here. 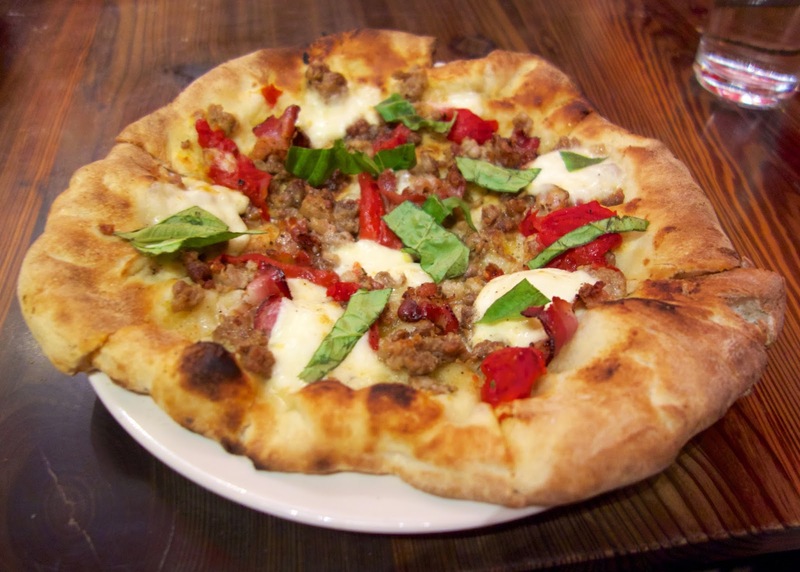 I got the Fennel Sausage Pizza. It was so delicious! I'm sure it was the wood burning oven that made it so amazing. 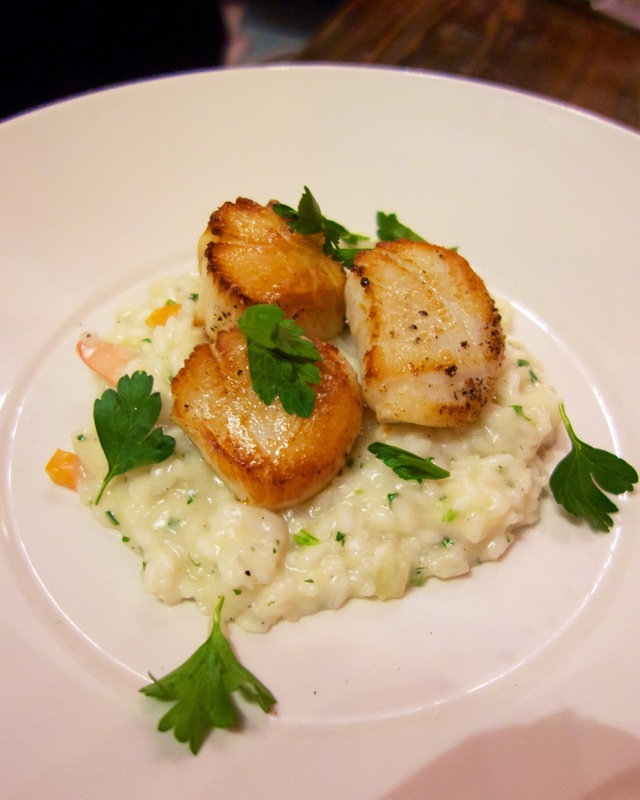 Chicken Legs got the special - Scallop and Shrimp over risotto. It was gone right after I took this photo. 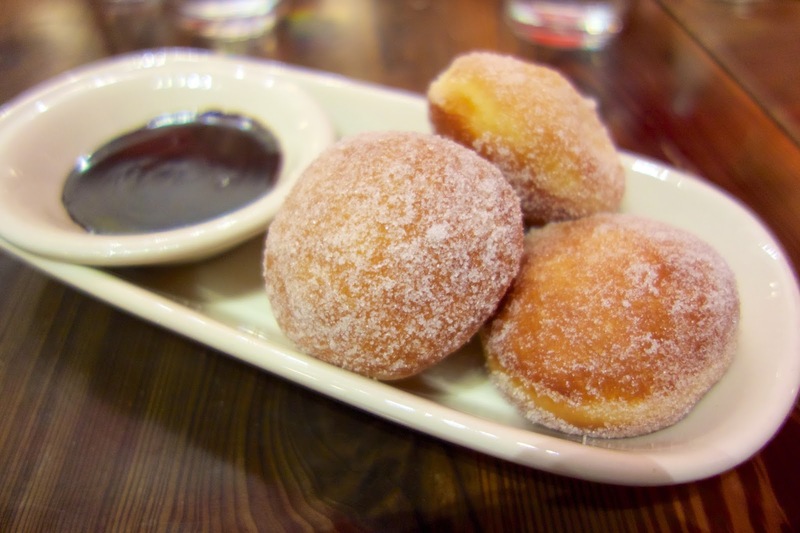 Dessert were these yummy Italian doughnuts. I could eat these every day. 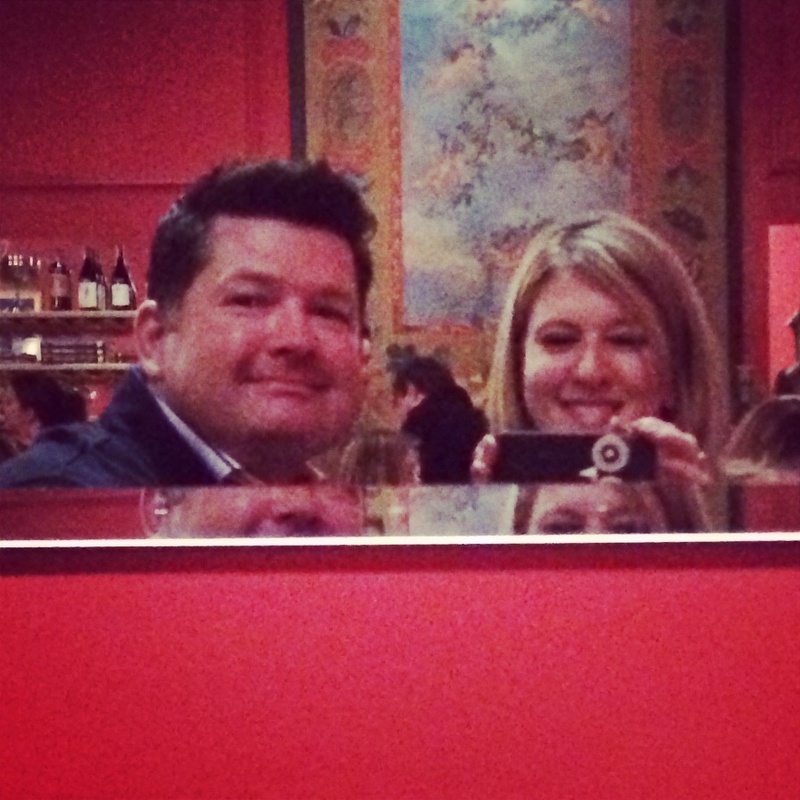 The walls at Bottega Cafe are lined with mirrors. I took it as an opportunity for a selfie! 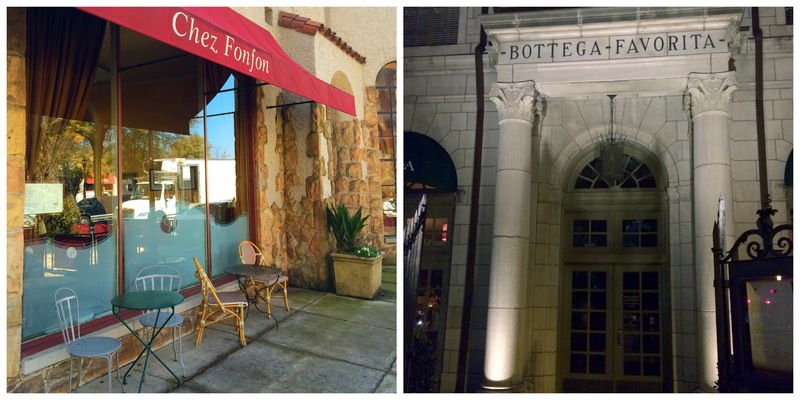 If you find yourself in Birmingham, make sure to check out Chez Fonfon and Bottega Cafe. I live in Huntsville, but don't venture to B'ham much for some reason...I always head north to Nashville. I'll have to change that! Soo....how early is early? Should I plan on arriving about 3:00 or 4:00 pm to beat crowds? I love Frank Stitt as well! 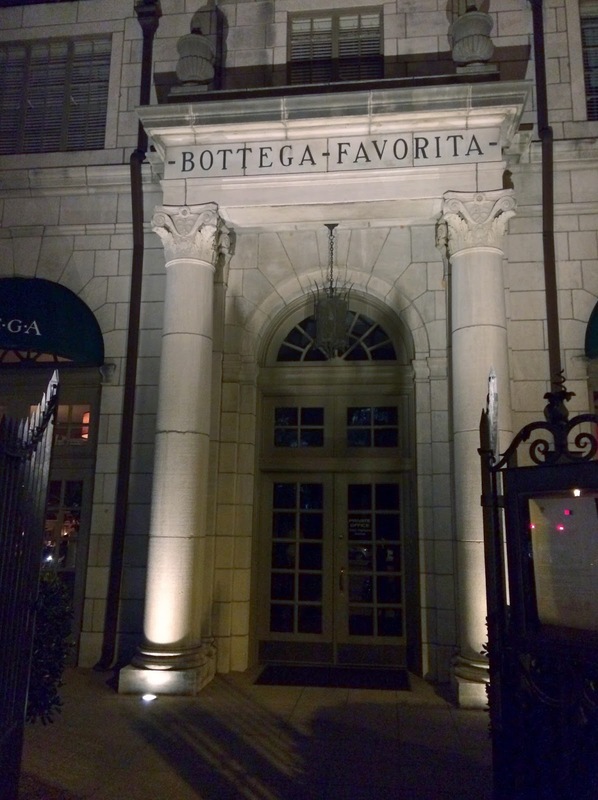 I still haven't been to Bottega & Highland Grill but Chez Fon Fon is the best. Orange Things are my weakness. Your photos are lovely! Great food and great atmospheres! Let's go again soon! Oops! Sorry for accidentally replying to your message, Becky!